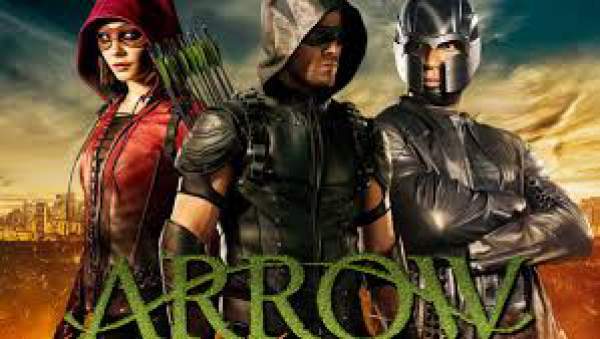 Arrow Season 5 Episode 13 Spoilers, Air Date, Promo: The Arrow episode 13 of season 5 is titled ‘Spectre of the Gun’ and will revolve around the backstory of Rene aka the Wild Dog. The upcoming episode of Arrow will also feature City Hall under serious attack. Here are few spoilers and preview of the next week’s segment. Let’s find out what is going to happen in the upcoming week. Arrow S5E13 will feature more of Rene’s origin. The episode will take us deep into his past which will eventually let us know how he came to be what he is at present. It will reveal how traumatic his past was and how he originated as the Wild Dog. The network, CW has already released the synopsis for the Arrow 5×13 along with teasing some plot details. It states that the City Hall will be attacked and the tragic results of the assault will bring back painful memories to Rene. It will remind Rene what traumatic events through which his family went through and eventually led to the formation of masked hero Wild Dog. Check: Legends of Tomorrow season 2 episode 12. After the attack, Oliver Queen will decide to go after the person responsible for the attack. However, quick down the investigation, he will realize that the best way to find him out is to work as the Mayor Queen instead of the masked crime fighting her GreenArrow. But soon, we will get to see an unexpected turn of events at the bunker. There would arise a situation of clash due to disagreements among the members of the team. The promo for the same will be available soon and updated at the earliest. A traumatic attack on City Hall triggers painful memories for Rene (Rick Gonzalez) about his family. Flashbacks reveal how Rene went from simple family man to a hero named Wild Dog. Meanwhile, Oliver (Stephen Amell) must deal with the perpetrator behind the attack and realizes the best way to do so is as Mayor Queen instead of the GreenArrow. Tensions run high in the Arrow bunker. “Arrow” Season 5 episode 13 “Spectre of the Gun” airs Feb. 15 at 8:00 pm on The CW. Stay tuned to The Reporter Times for latest TV series’ news and other Entertainment updates around the world.